The holiday season is approaching and your kitchen will be bustling with preparation activity. Your head may be swimming with ideas of menus and holiday goodies, but have you thought about whether or not your oven is up to the challenge? We have! Below are some oven maintenance tips to help you avoid last-minute repairs during the holiday season. It may seem simple, but one of the most important oven maintenance tips is to clean the interior and exterior. This will go a long way to avoid oven repairs. Cleaning helps improve oven performance and reveals problems before they’re too big. Control Panel – Use a non-abrasive cleaner, such as a simple vinegar spray with a soft cloth Clean the knobs and surface of the control panel. Harsh scrubbing may remove the decals of the control panel, so clean gently. 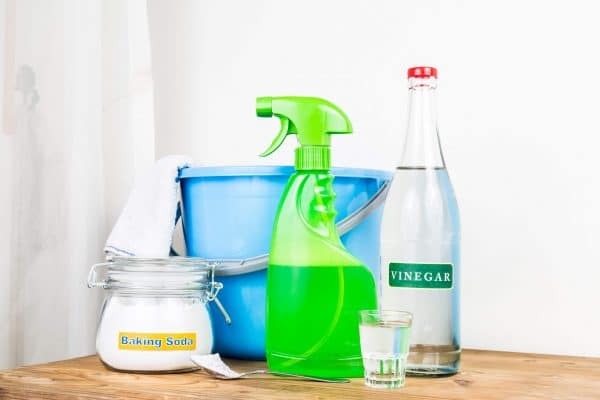 Vinegar is a natural degreaser and an effective cleaning agent. Door – Clean the interior and exterior of the door panel with vinegar spray. You can even combine a mixture of baking soda and vinegar into a soft paste if needed. Be sure to rinse well with a clean cloth afterward. For very stubborn grease and food debris, a heavy-duty degreaser may be necessary to properly and completely clean the interior of the door panel. Stovetop – For a smooth electric cooktop, scrape debris off with a plastic scraper or razor blade. Clean the cooktop and apply a coat of protectant according to manufacturer instructions. For gas cooktops, remove and clean the burner grates and bowls/covers. This can be done simply with soap and water in the sink. 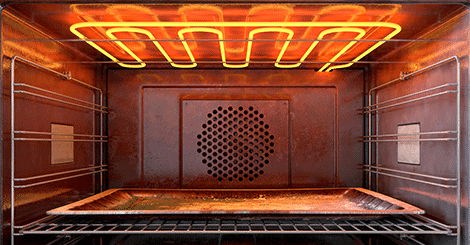 Oven Interior – If you have a self-cleaning oven, follow manufacture instructions for your specific oven model. If not, use an oven cleaner as recommended in your model’s operating manual. Alternatively, use a mixture of baking soda, vinegar, and (if needed) salt to form a paste that is safe to scrub with. Be sure to rinse well the entire interior of the oven when finished cleaning. This is an important step in oven maintenance tips, as built-up food debris inside the oven can pose a fire hazard. Learn more about How to Clean Your Oven here. One of the most important features of the oven is the blower motor. Maintaining the blower motor will help ensure the longevity and performance of your oven. If your oven is equipped with oil cups, they should be lubricated every six months. Ball-bearing motors prelubricated at the factory should not need additional lubrication. Make sure the blower and surrounding parts are free of debris. Refer to your manufacturer’s instructions when oiling your oven’s motor. Operating an oven on the wrong power will reduce performance. If you have experienced unsatisfactory operating power, check the voltage requirements for your oven. If your oven has been operating with reduced power, a buckboost transformer should correct the problem. If your oven is taking an unusually long time to heat up, check the heating elements. 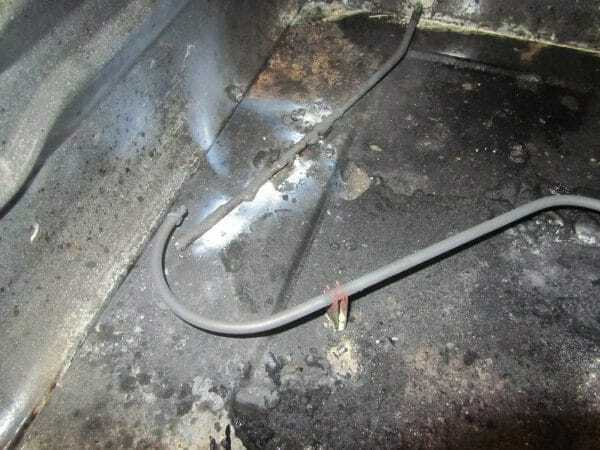 Burned out heating elements will affect the performance of your oven. Turn the power off to the control system. Next, use a multimeter set to the ohms setting then test each heating element systematically. A high reading indicates a burnt element, a low reading (below 100 ohms) indicates a satisfactory/working element. If any of the heating elements are defective, replace them. 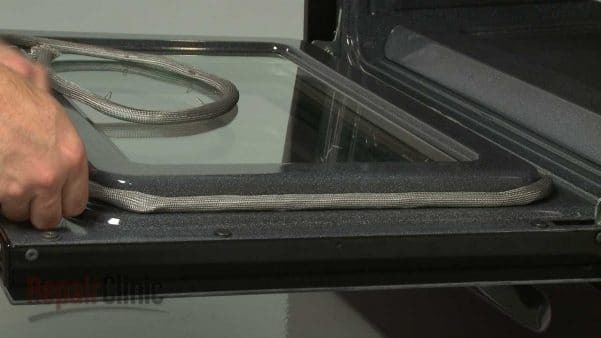 Finally, inspect the gaskets on the oven door and other port inserts. Look for worn, dry, or cracked areas. Damage such as this may cause heat to leak out of the oven when the door is closed. In turn, the oven will then be ineffective at maintaining the correct temperature. If you feel any heat escaping through the oven door even when it is closed, you probably need to replace the gaskets. Replacing an oven door gasket. All of the tips provided will help maintain your oven to improve performance and ensure it operates properly. There is nothing worse than planning for a delightful holiday full of succulent foods and tasty treats, only to have things derailed at the last minute due to unexpected oven repairs. If you suspect your oven is due for service or needs repairs, it’s always best to call a technician to professionally diagnose and service your oven. Contact a technician today for professional service before the holiday rush begins.